ONEcount, the Audience Activation Platform, announced that it has been selected by Trib Total Media, the largest source of news and information in Western Pennsylvania, to identify, enhance and monetize its online audiences. In the print space, Trib Total Media publishes 1 daily and 14 weekly newspapers with a distribution of over 159k subscribers. 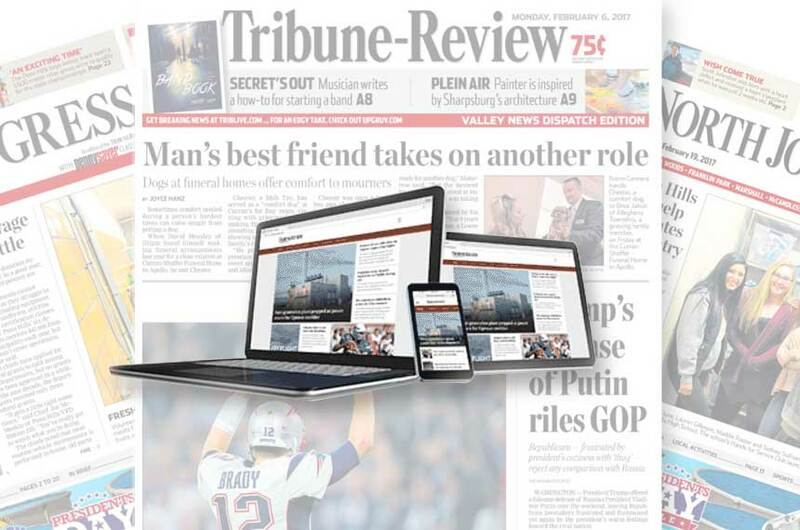 Online, Trib Total has 5 digital properties, with combined monthly page views of over 20 million. Trib Total reaches their Western Pennsylvania audiences with a portfolio of publications including: daily and weekly newspapers, weekly shoppers, websites, internet radio, promotional products, direct mail and advertising. Along with their media products comes a vast array of audience data housed in many databases. ONEcount is the only platform that combines capabilities of a Customer Data Platform (CDP), a Data Management Platform (DMP), and other tools that will allow Trib Total to consolidate data into a single, highly-integrated conversion engine. The publisher will be able to seamlessly identify individual users by various audience segments to better target advertising and communications on behalf of their advertisers. Trib Total plans to use ONEcount’s identity activation framework and progressive profiling to identify users coming from e-mail, social media, and other engagement channels. ONEcount converts unknown users to identified users and allows publisher’s to use their first-party data to deliver relevant experiences and highly-targeted advertising to audience segments. Using ONEcount has been proven to increase CPMs, by as much as 2-3 times, with enhanced banner targeting. ONEcount’s built-in toolkit, including integrated paywall and gating capabilities, enables Trib Total to increase digital subscription revenue. Similar clients have generated as much as $400k in additional revenue in just one year using such features. With the client’s current digital tactics in place, such as sending 200,000 e-mails per day, ONEcount’s ESP integrations will leverage profile engagement data tied to user web interactions across other touch-points. Internal team members will be able to review insights on real-time dashboards and provide data to advertisers via secure data feeds. IVT mitigator, banner platforms, social sign-on abilities, and a host of other tools are built-in to drive cross-sell and upsell initiatives, increase conversions and decrease waste to grow incremental sales and revenue. Trib Total Media delivers news, information and advertising to portions of Western Pennsylvania. By offering a multimedia suite of products and services including daily and weekly newspapers and weekly shoppers along with websites, direct mail, promotional products and media planning, Trib Total Media serves as a single source solution for advertisers needs. ONEcount is an audience activation platform that combines a CDP with DMP capabilities specifically designed for media companies. Leveraging a mature history of identity resolution, data consolidation and advanced identification and targeting tools, ONEcount delivers a simple-to-manage ecosystem while streamlining the tech stack. For information on ONEcount’s audience activation platform, please contact Joanne Persico at joanne@one-count.com or call 203-665-6211 x204. This entry was posted in News and tagged announcement, client, local media, news, newspapers, press release. Bookmark the permalink.